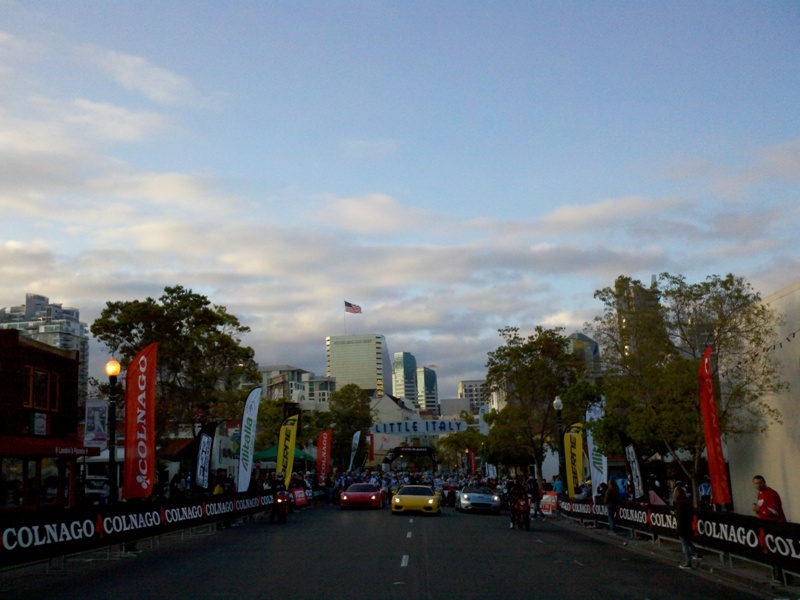 Gran Fondo San Diego starts under the Little Italy arch in downtown San Diego. The first section leads through an industrial area along San Diego Bay. 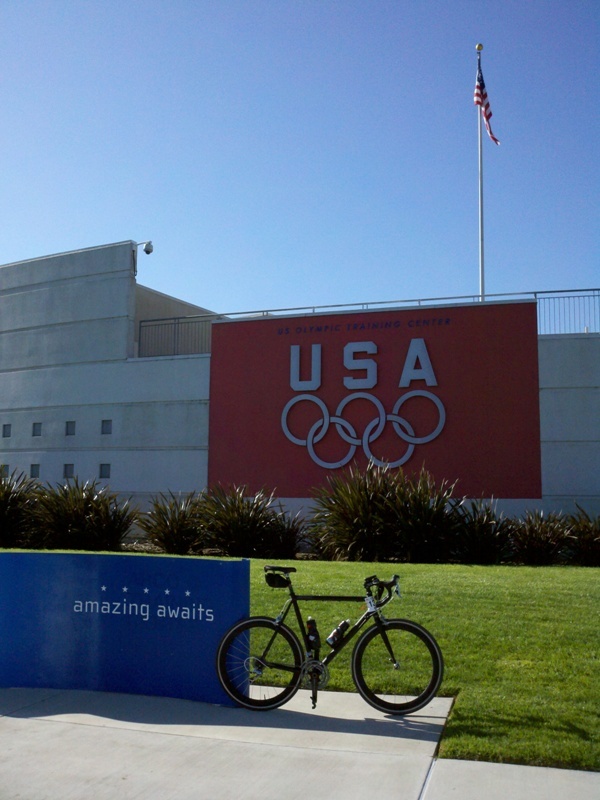 The ride then leads through a suburban section to the Olympic Training Center in Chula Vista. 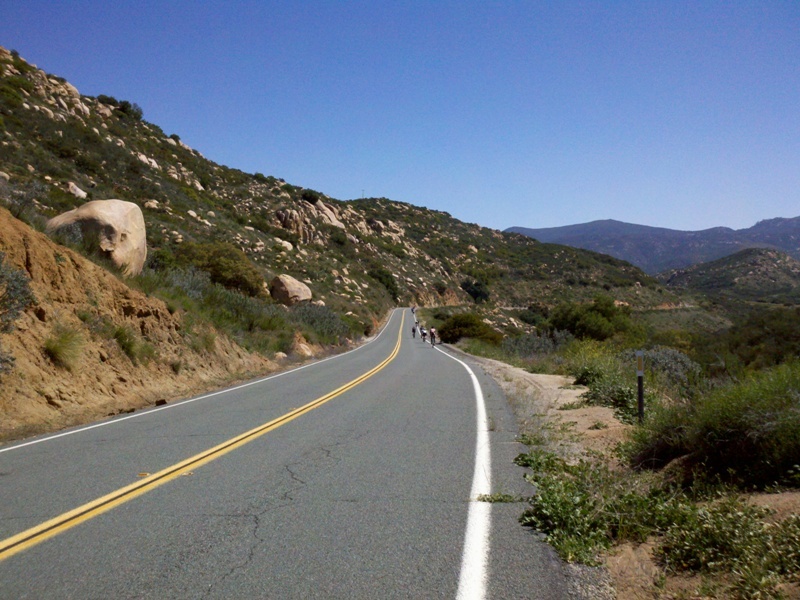 Here the route gets more scenic, passing Upper and Lower Otay Lake and following Otay Lakes Road. 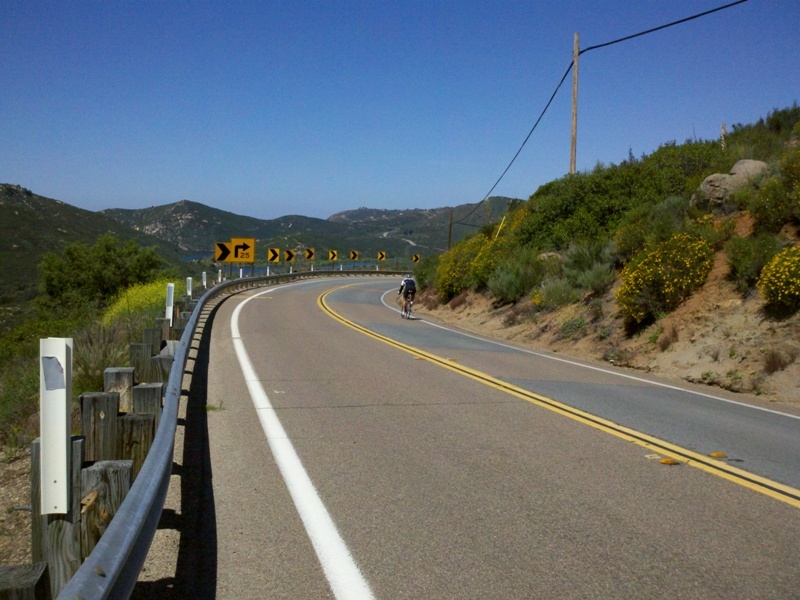 A six mile time trial leads up Honey Springs Road, which merges into Lyons Valley Road. 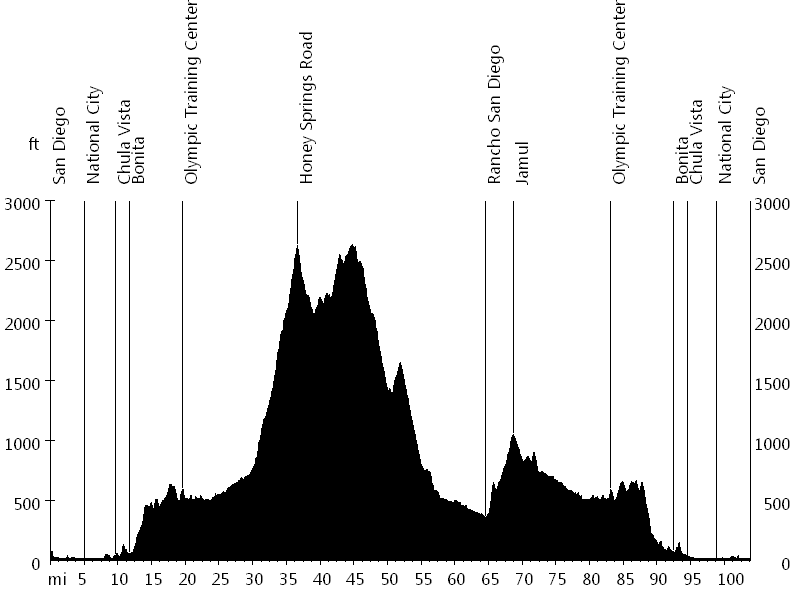 Japatul Road, Dehesa Road, Willow Glen Drive, and Campo Road eventually loop back to Otay Lakes Road, which leads back to the Olympic Training Center. The following suburban section is different from the beginning, and the final industrial section is the same. America's original gran fondo had definitely an Italian theme: three Ferraris and two Ducatis started off the ride in Little Italy, while Pavarotti was blasting over the speakers. At the start I ran into George A. and Julie V. on their tandem, and we rode together until the first stop. Then I ran into Tom R. and his friend Dave, and we rode together until the hill time trial. During the second half of the ride I took long pulls in a sizeable paceline.